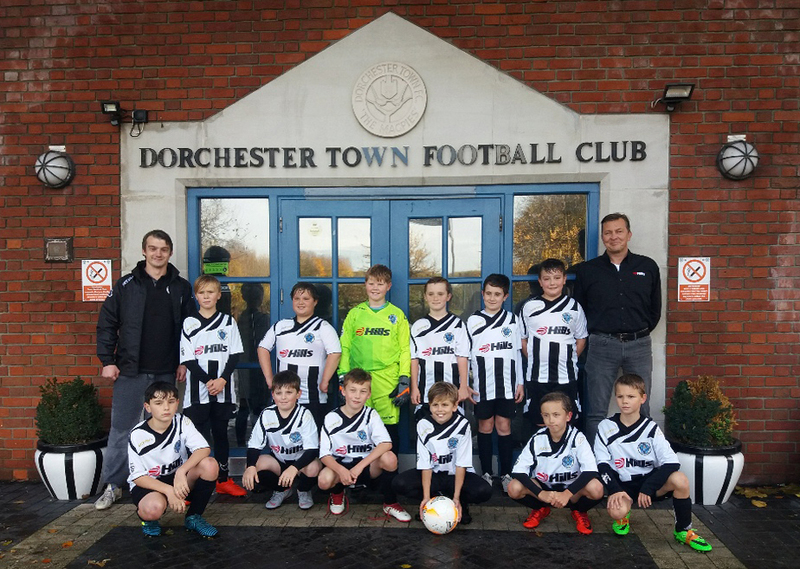 Hills Quarry Products is again supporting Dorchester Town Football Club (DTFC) where the company is sponsoring the Swifts’ under 11’s team. The Avenue, DTFC’s home ground, is located just four miles from Woodsford Quarry where Hills Quarry Products produces a range of aggregates and ready-mixed concrete. 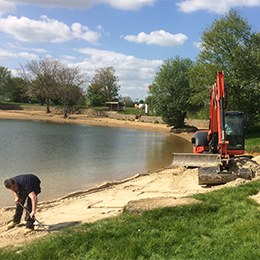 Terry Newsham, business manager – Hills Quarry Products went along to a training session to meet the team and their coach Alex. He said “it was a pleasure to meet everyone and they all looked very smart in their Hills branded football kits. Despite the bad weather, the team was enthusiastic during training and they were pleased to receive some Hills’ goodies too”. Hills Quarry Products has sponsored the club previously and is pleased it could sponsor again. We wish them well for the rest of the season! Click here for information about Woodsford Quarry.